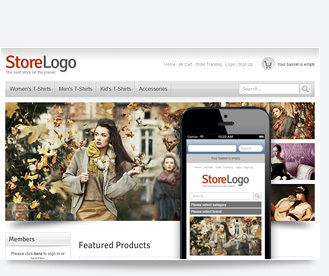 Ashop offer tons of beautiful templates which can be easily customized. 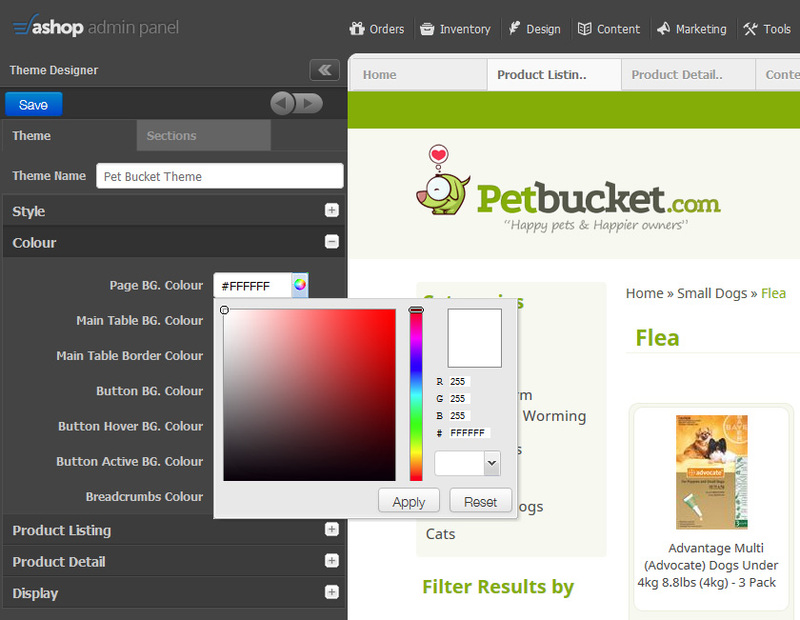 Select the theme that suit your business, change colors, dimensions, layouts and literally anything you want. 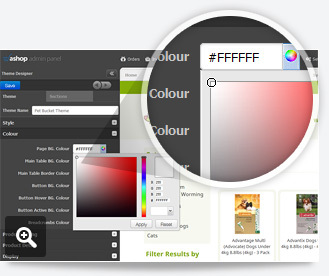 The easy and fun to use real-time editor will help make your ideas a reality. See the changes as you make them. 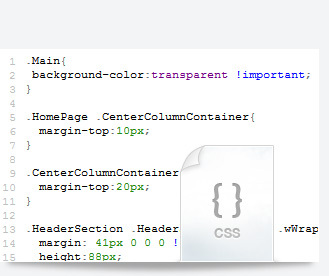 If you’re a designer or simply like to dabble in code, you also have access to HTML and CSS to modify any part of the design and layout. All classes and ID’s are clearly displayed and can be previewed before applying to the storefront. 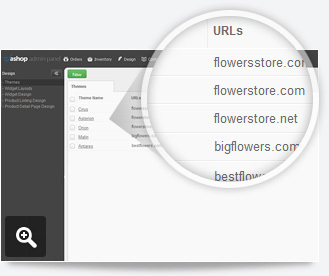 Assign different domain names to different designs to create multiple stores.